The Resort Pickleball Club endeavors to provide a variety of recreational and competitive play opportunities to residents and their guests. We are committed to providing an environment that reflects our core values of respect, fairness, integrity, safety and fun. Our facilities include four high quality, dedicated pickleball courts with night lighting, storage space, bleachers, and bicycle racks. Pickleball has been touted as the fastest growing sport in North America not only for its fitness benefits, but also for the social aspects of the game. If you are a part of this revolution or have heard of it and would like to give it a go, you will be pleased by our friendly welcome to new members. Membership fees are just $10 per person which are used to purchase balls, and miscellaneous necessities approved by the club’s elected leadership. Come play pickleball at The Resort. Fun, sun and exercise. Life hardly gets better than this! Thanks for checking out The Resort Tennis Club. We hope you take the time to explore, and check out all the benefits of visiting The Resort and participating in not only the Tennis Club activities, but in the vast array of things to do off the courts as well. Our park, located in the City of Mesa, is about 30 minutes from Phoenix International Airport and 15 minutes from Phoenix-Mesa Gateway airport. 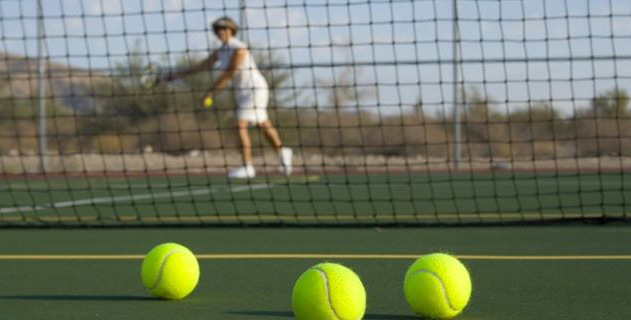 The Resort Tennis club has a membership of over 120 members, and provides players with the opportunity to participate at all skill levels, from “how do I hold a racket” to advanced, and our annual dues are a whopping $20. The club provides professional coaching at all levels as well as loaner rackets to get you started. 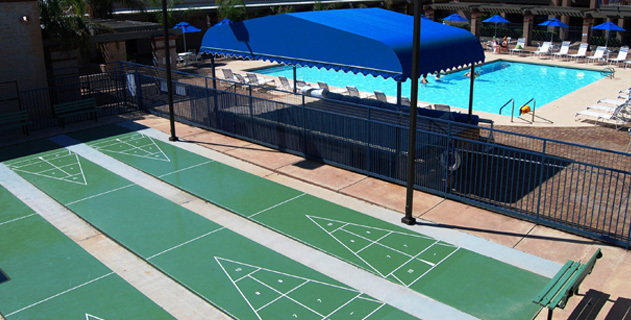 Our goal at The Resort Tennis Club, is to provide an environment that fosters fun for all our members. While some people play tennis just for exercise and the social aspect of the game, others prefer to add a bit of competition and strive to hone their skills and advance their level of play. Our tennis club participates in the 55+ East Valley Seniors Tennis League, the largest senior tennis league (3500+ players) in the country. This league offers play from the beginner level through to the advanced 4.0+ levels, and everything in between. There are sixteen other Mesa area resorts that participate in this league, and weekly matches begin in early November and run through the first week in March.